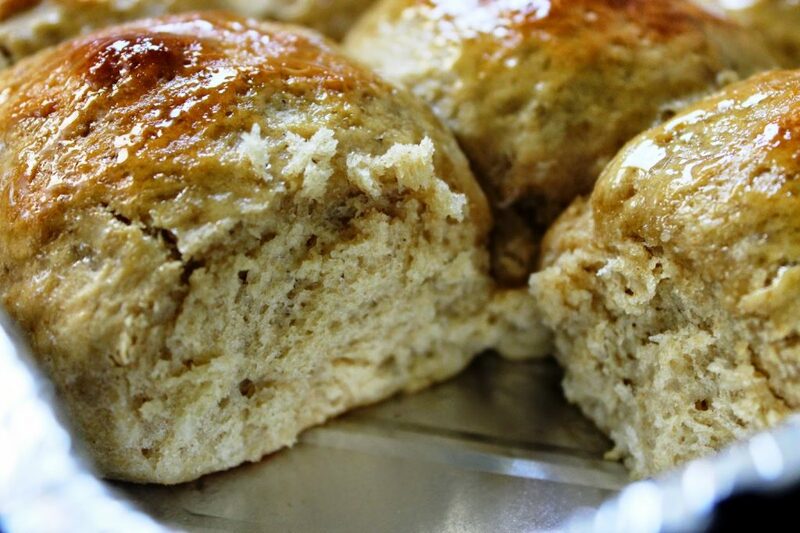 30 Minute Honey Whole Wheat Rolls - No Way That's Healthy! These rolls are just too good. Whenever I make these I seem like the best housewife in town, but little do they know it took just minutes to put together. These are also perfect for Rosh Hashanah since they are sweetened and topped with honey, which makes them extra special. Preheat oven to 350F. Spray a 9×13 pan with oil. In a bowl mix together the warm water, yeast, and honey. Let sit a few minutes till it starts to bubble a bit. Add in the flour and salt and mix till the dough is well combined and only a little sticky. Add more flour if you feel it is too sticky. Do not add too much or the rolls will be dry. Oil your hands and separate the dough into 12 pieces. 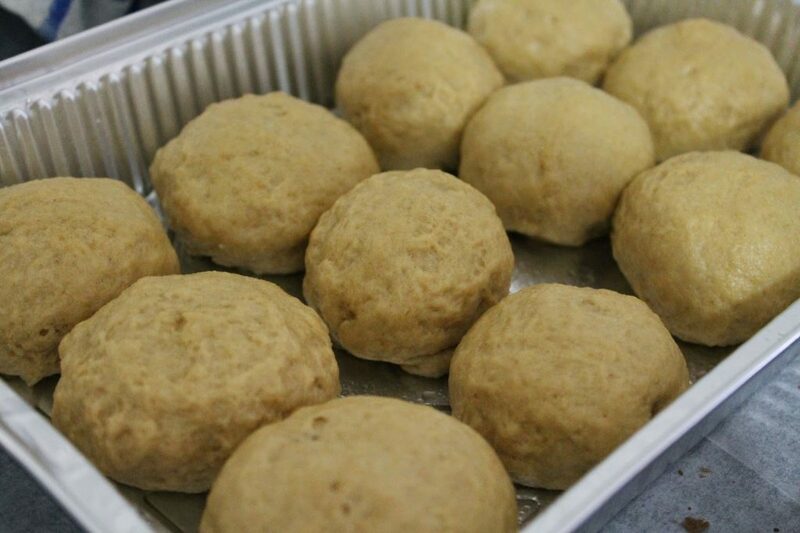 Roll them into balls and place in the pan. Let them sit for about 5 minutes. You can egg them but you do not need to. Place in the oven for 15-20 minutes. Once they come out brush honey over the tops. These rolls are best fresh out of the oven. If you want to make them in advance that should be fine, but I recommend you warm them up before serving. Shana Tova Umesukah- Have a Sweet New Year! I am so glad you like them. Hmm.. they were not crumbly for me. Did you maybe add too much flour? The dough is on the stickier side. Also the tops should be a bit brown, but be sure you do not over bake them. Hope they work out better next time! Hi, I apologize if this post appears more than once, it keeps disappearing on me. 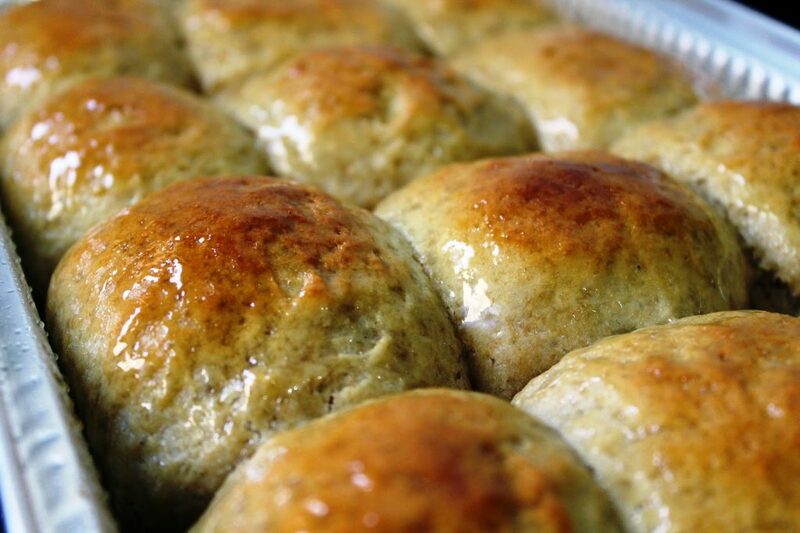 I have made these rolls a few times over the past year, always to a great success. Also have recommended them to a number of people and they all loved the role and the blog. I am making these again today and just realized that I only have packets of yeast. How many packets would I use for this recipe to equal 2 tablespoons. Thank you very much. Each packet has 2 1/4 tsp of yeast. 2TB=6 tsp. So you would need to do the math, but shouldn't be too hard. Enjoy! This was my first time baking with 100% ww flour. I didn't brush egg or honey on the top. They came out so soft and delicious! Perfect for breaking the fast! So excited to try this and other recipes for Hanukkah! I usually use bread machine yeast. Is that the same as the dry yeast you are using? Thanks for so many great ideas! can i put the dough in the fridge over night and bake them in the morning? I haven’t tried, but I think it should work.